As many of you know, last the last two weeks Diane and I were on vacation. We were in Europe and while there we heard a number of different languages. And it reminded me of the story about the two American guys who were standing outside a store waiting for their wives to finish up their shopping. A Swiss guy, looking for directions stopped where two Americans are waiting. “Entschuldigung, (Intshuldigunk) koennen (kooenen) Sie Deutsch sprechen?” he asks. The two Americans just stared blankly at him. The Swiss guy tried again. “Excusez-moi, parlez vous Francais?” The two Americans continued to stare. “Parlare Italiano?” No response. “Hablan ustedes Espanol?” Still nothing. Does what you know do you any good? It is Trinity Sunday today and as Episcopalians we make a big deal that we believe in the Trinity. The Trinity is referenced and affirmed in almost all of our prayers. We talk about the Trinity during Holy Communion. The affirmation of the Trinity is the primary point of the Nicene Creed. We believe in one God, the Father Almighty, maker of Heaven and earth. We believe in one Lord, Jesus Christ, the only Son of God, God from God, Light from Light, true God from true God. We believe in the Holy Spirit, the Lord the giver of Life who proceeds from the Father and the Son. 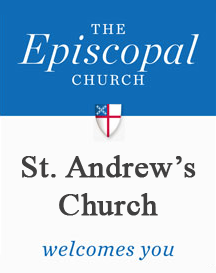 In order to be an Episcopalian one must profess that he or she believes and affirms the Nicene Creed. We believe that the Nicene Creed outlines the foundational doctrine to being a Christian, the bedrock of being a Christian. Did you know that? Do you why this is the case? Do you know why Christianity hangs on such a foundation? It might at first strike you as odd particularly since the word ‘Trinity’ does not even occur in the Bible. The term was not invented, if you will, until almost two hundred years after the resurrection of Jesus. The term was used though to somehow explain what we see in Scripture. Scriptures like the ones we have in our reading this morning. If you look at our readings today we note in the gospel reading that Jesus tells his disciples to make disciples of all nations and to baptize them in the name of the Father, the Son and the Holy Spirit. In the epistle reading Paul tells the Corinthians that the grace of the Lord Jesus Christ, the love of God, and the communion of the Holy Spirit would be with them. You see how Jesus and Paul group the Father and the Son and the Holy Spirit as co-equal with each other and this happens not just here but in a number of places throughout the New Testament. And so what is the significance? The main and primary issue is about Jesus. Almost anything that is really important in Christianity comes back to Jesus. The issue is whether or not Jesus is God. Is Jesus in fact God in the flesh? Is Jesus the God-Man? That is the bottom line. This is the reason the Nicene Creed was developed. It was to provide a concise statement about what we believe about Jesus. Oh sure the Creed affirms that we believe in God the Father. That was never an issue or problem. Since God is Spirit, the Holy Spirit was also not an issue; just no one had ever really made the Holy Spirit a separate person from God the Father until Jesus did. But the critical point was about Jesus. Who or what exactly was he? How could he be categorized? He was certainly acted and did more things than just a regular or even an outstanding holy man could do. Jesus could forgive sins. He accepted worship from people. And Jesus clearly tells his disciples things like, “If you have seen me, you have seen the Father.” He uses the phrase, “I am, I am” which is the Aramaic version of what God called himself in the Old Testament, “I am that I am.” He heals, he raises the dead, he has authority over the demonic, he has authority over nature and finally he himself comes back to life after being killed. Those aren’t things that just anyone who was just a human could do. Yet, at the same time, we see in the Scriptures that Jesus got hungry and thirsty and tired. God doesn’t get hungry and thirsty and tired; these are human weaknesses. So what we do? How do we think about Jesus? On the one hand, Jesus clearly does things only God can do and yet he was certainly a human as well. So the church simply affirmed what it saw. Jesus was God and Jesus was man. He was/is the God-man. He was/is God in the flesh. And how does knowing that do us any good? Is this similar to knowing four languages but not knowing the one you need at the time? No, knowing and understanding this changes everything for us. It changes our entire understanding of the universe. Knowing this does us good in the following ways. First, if Jesus is God, then God must love you and me far more than we could ever imagine. Think about it. Tonight, go out and look at the stars and see the immensity of space. See the beauty of the universe, the colors, the diversity and think of the power and hugeness of the being who created all this. And then understand that God went to the trouble and pain to enter the human race, to live among us, to be born of a human mother, to work, to sweat, to get tired and get hungry, to know pain, to get involved with other people’s lives in their joys and in their sorrows, and at the last to know betrayal and suffer a horribly painful and humiliating death; realizing this shows us something doesn’t it? It shows that God is really invested in us. It shows us that God really and truly cares about the human race. It shows us that God really and truly loves you and loves me. God the maker of heaven and earth lowered himself and made himself like a servant and being found in human form submitted himself to even the death on a cross. Does God really love you? It is not just words; look what he did. That is the first thing and that’s huge. The second reason knowing this does us good is that if Jesus is God then God understands how it feels when you go through pain and suffering. God gets it when you hurt not only physically but emotionally. Every human being in the world suffers in some way during his or her life. There is no way around it. And God does not spare us his people from going through hard times. But when we go through our hard times we need to remember that He did too. He can relate to our pain because he also has suffered physically and emotionally. So when we are suffering we can go to God and know that He understands. He has also gone through hurting times too. God gets it when you are tempted because he too was tempted and tested just like you and I get tempted and tested. He knows; he understands. You see it is one thing if I visit you in the hospital and you have just undergone a surgery and I come there tell you not to worry and things are going to be great—you may think to yourself, “Yeah, and what do you know?” But if in fact I have had that same operation and then tell you not to worry things are going to get better, well then that’s different because I have been there. If you have had a rough emotional experience, it is more comforting to talk to someone else who has also had a rough emotional experience. The point is the God-man Jesus understands our pain because he has also gone through pain. It is not just an ivory tower sort of understanding. He understands emotional hurt and physical pain because he too underwent emotional hurt and suffered physical pain too. So what good does it do you to know about the Trinity? It does you a lot of good because it helps you to know, to really know that God, God Almighty loves you and to know, to really know that in the midst of our pain God understands.